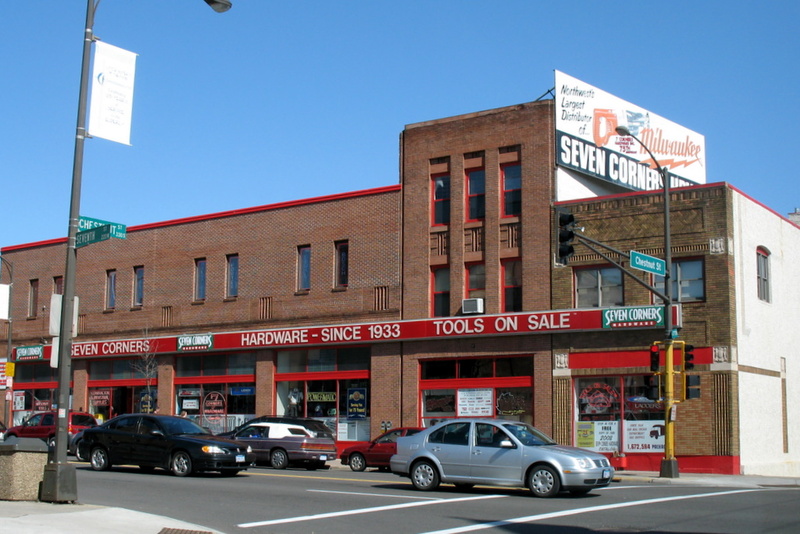 Seven Corners Hardware, since 1933. Oddly enough, it's on the corner of Seventh Street and Chestnut Street in St Paul. Just on the fringe of downtown. To be fair, the landscape has changed quite a bit since it's opening, plus I do believe the intersection it gets it's name from is just out of frame to the left. That end of the block is home to many intersections coming together. From what I hear, the floors creek when you walk on them, the aisles are very narrow. If you're looking for something uncommon, it's probably 10 feet high on a shelf, so it's best to ask for help. They pretty much will have everything you need, plus they are an authorized service center for many tool manufacturers. I bet its great to walk around in there.